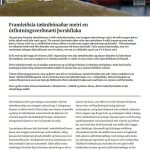 Tíu íslensk tæknifyrirtæki í sjávarútvegi undirrituðu í dag samstarfssamning um þróun grænnar tækni fyrir veiðar og vinnslu. 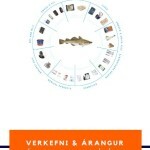 Verkefnið nefnist Green Marine Technology. 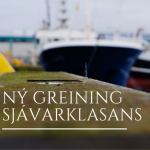 Forseti Íslands, Ólafur Ragnar Grímsson, opnaði verkefnið í Húsi sjávarklasans. 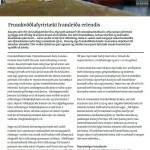 Meðfylgjandi myndir voru teknar við opnuna í dag þar sem gestum var boðið upp á Tófú salat en í því var kynnt nýtt þróunarverkefni MPF og Matís sem er Tófú unnið úr þorskhryggjamarningi, einni var þar að finna snakk úr saltfiskroði og reyktan ufsa frá Reykhöll Gunnu. 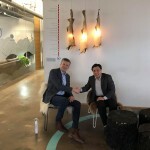 [nggallery id=9]Ten Icelandic technology firms in the fishing industry signed a cooperation agreement today for the development of green technology for fishing and processing. The project is called Green Marine Technology. The President of Iceland, Mr. Ólafur Ragnar Grímsson, launched the project at the Ocean Cluster House. 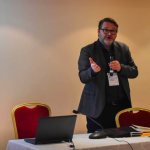 The project is the result of cooperation among technology firms in the Iceland Ocean Clusters, its members are: 3X Technology, Dis, Marport, Naust Marine, Navis, Pólar togbúnaður, Prómens, Samey, ThorIce og Trefjar. All the companies behind the project offer international solutions which are outstanding in green technology and contribute to the improvement of a better environment. The technological solutions are based on a better utilization of energy resources, reduced oil consumption, better utilization of raw material processing, and more. 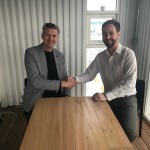 The aim with this new project is to strengthen collaboration among technology companies who promote outstanding Icelandic technology international fisheries and processing. 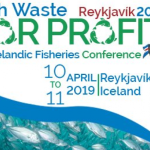 At the same time the projects draws attention to the leadership of Icelandic fisheries concerning quality in fishing and processing. The following photos were taken during the launch at the Ocean Cluster House. Guests were invited to try new Tofu, snacks and more products made from fish.